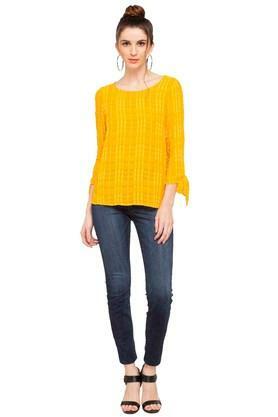 Pretty and feminine, Vero Moda top perfects the art of chic dressing. 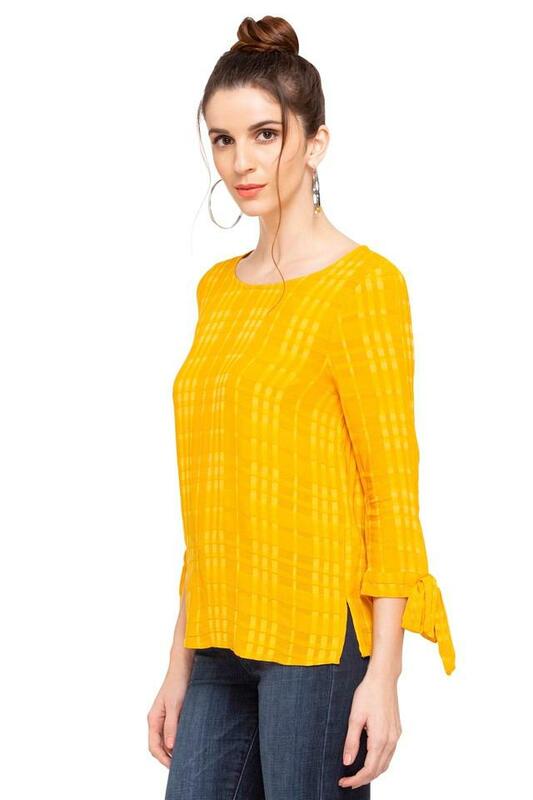 It comes with a checked pattern that renders it stylish. 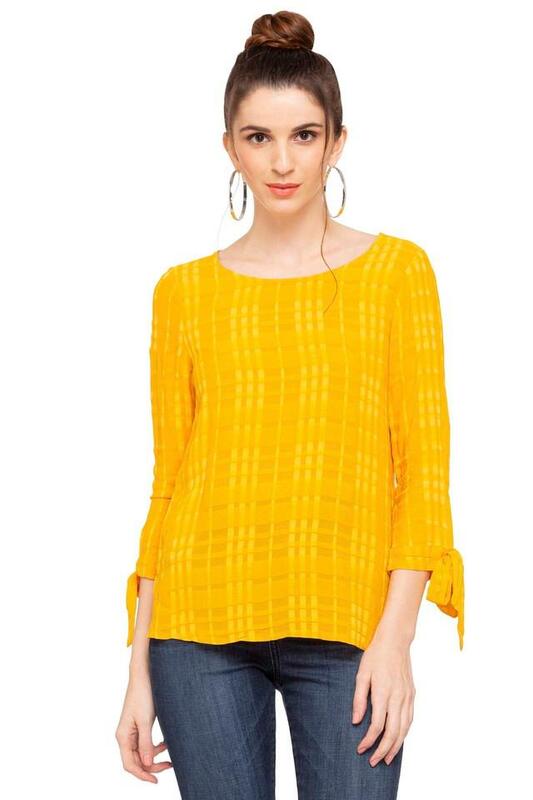 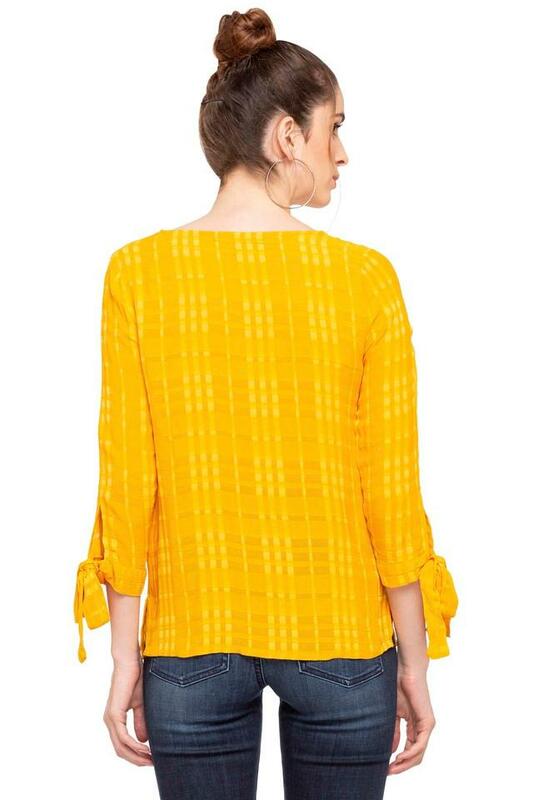 In addition, it features a round neck and three quarter sleeves that ensures a proper fit and renders it stylish look. The use of a good quality fabric further makes it easy to maintain. 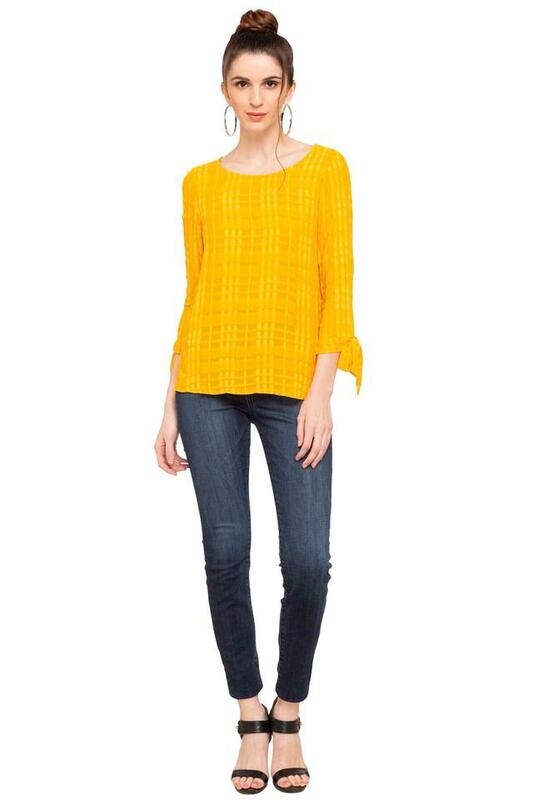 Cut to a relaxed silhouette, this top is perfect for a casual day out. Team this top with a pair of contrast pants and ballerinas for a chic look.